In this time of great change, innovation is no longer a luxury -- it's a requirement. Gone are the days where we could just learn a trade, get a steady job, and do the same thing for a lifetime. The middle class was built on the need for skilled, routine jobs in such realms as manufacturing, marketing, and management. It used to be enough just to show up each day and do what you were told. No more. Average is over and the only real constant is change. This is true, not just at the top as with new strategies or acquisitions, but throughout an organization. Innovation is the most important currency of the 21st century. If you want to get ahead you need to be creative. You need to become a master of invention and an agent of change. You constantly need to be learning and creating new ways of adding value. But here's the thing. The faster things change, the more stressful life becomes. And after a point, stress makes you stupid. Stress creates activity, but it destroys creativity. It causes smart people to do stupid things. 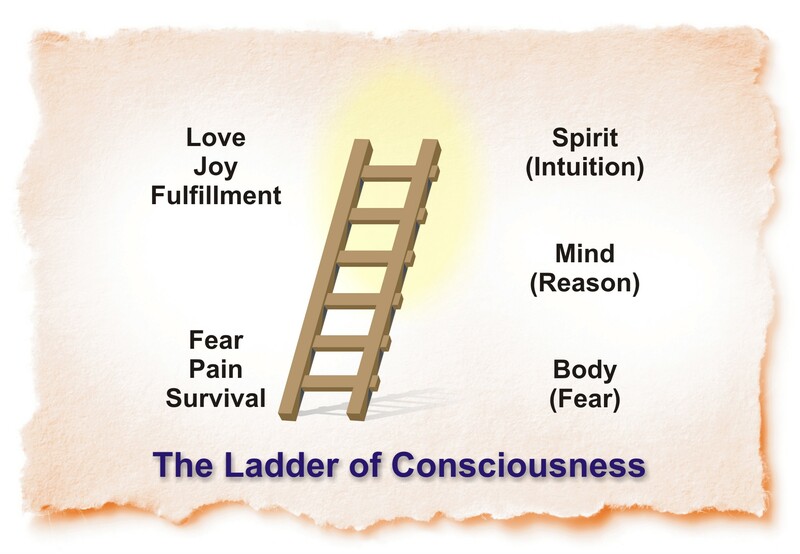 Stress and scarcity register at the bottom of the ladder of consciousness. Wisdom, innovation, and creativity come from the top. The paradox of innovation is that the more desperately you need to be creative, the harder it is to access. And the faster you need to learn and change, the more difficult these changes become. In their book Scarcity, Sendhil Mullainathan, a Harvard economist, and Eldar Shafir, a psychologist at Princeton, describe this dynamic. Over the past years they've conducted experiments that move people into scarcity thinking and then they've measured the results. They found that the drop from neutral, average consciousness to a mentality of scarcity creates the equivalent of a loss of 13 to 14 IQ points. Have you ever been seriously sleep deprived for a sustained period, let's say when dealing with a new baby? Do you remember how difficult it was to think clearly? The drop they measured, due to scarcity thinking, is even greater and more debilitating. On the flip side, there are huge benefits in shifting from average consciousness to abundance consciousness. 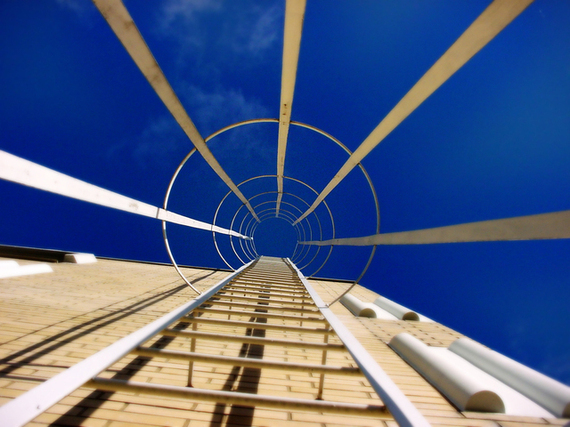 Genius resides at the top of the ladder, a place we all have the potential to access. For me this phenomenon of diminished creativity under stress shows up most obviously in my writing. When my life gets too full and I start feeling stressed, the quality of my writing plummets. I'll either get writer's block where I can't write at all, or I'll get a bad case of "writing crap" where the words pile up on the page along with an increasingly unpleasant mental smell. When this happens, I know that I need to slow down in order to speed up. I need to say no to more things that drain me and yes to more things that feed me, such as my family, meditation, and exercise. Otherwise stated, I need to raise my level of consciousness. Then, something shifts. I move to a different place inside. My creativity emerges. I drop into my writing mode and the words begin to flow. And as my wife will tell you, when this happens I become a much happier person. Creativity comes from something greater than the mind. It comes through you, not from you. It's something you open to rather than something you make happen. And while it doesn't show up on demand, creativity is far more likely to be forthcoming when you make the choices that take you to higher levels of consciousness. Remember, you cultivate this through an ongoing practice of taking Leaps of Faith based on finding your Yes Yes Hell No!'s. The practice of leaping and being caught increases not only creativity, but also the capacity for other gifts such as intuition, innovation, and inspiration. The more you use your creativity, the more it flows through you. The more you listen to your intuition, the louder it speaks to you. The more you dare to innovate, the more inspiration comes to you with the next bright idea.